Fill in your details below and we will let you know within 24 hours if we can get CO2: Second Chance to you with haste! 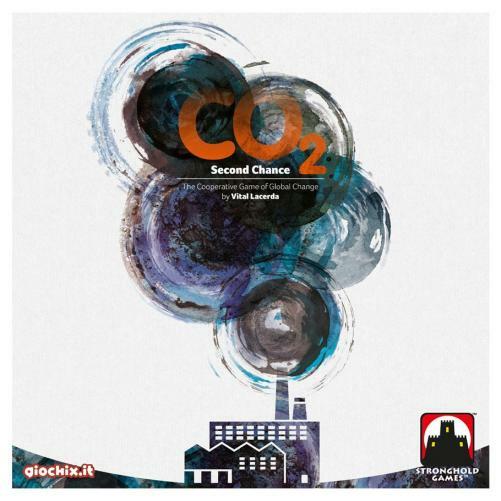 In CO₂: Second Chance, each player is CEO of an energy company responding to government requests for new, green power plants. The goal is to stop the increase of pollution while meeting demand for sustainable energy. You need expertise, money, and resources to build these clean power plants, and Energy Summits to promote global awareness. If the pollution isn’t stopped, it’s game over for all of us! streamlined mechanics, upgraded wood components for the power plants instead of cardboard, while maintaining the beautiful illustrations on the board and cover, and all this with a shorter play length! This version also has Competitive, Cooperative, and Solo play modes! This is a ONE-TIME printing of this game. The game will not be reprinted.